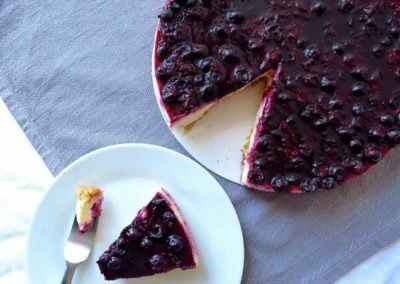 The top secrets you need to know about how to make cake recipes gluten free, and actually taste good! 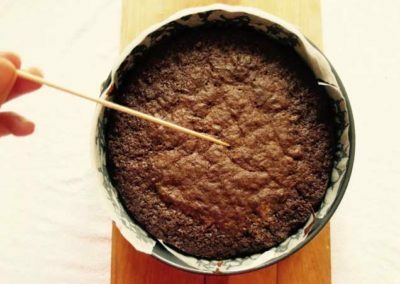 So you have a cake recipe that you want to make gluten free, but how do you go about it? Do you simply substitute the wheat flour for gluten free flour? Do you go to the supermarket first and buy a whole lot of fancy and complicated ingredients to make it? Gluten free baking is so complicated, right? Not necessarily! If you’ve tried making an ordinary gluten cake into a gluten free cake with little success then listen up. 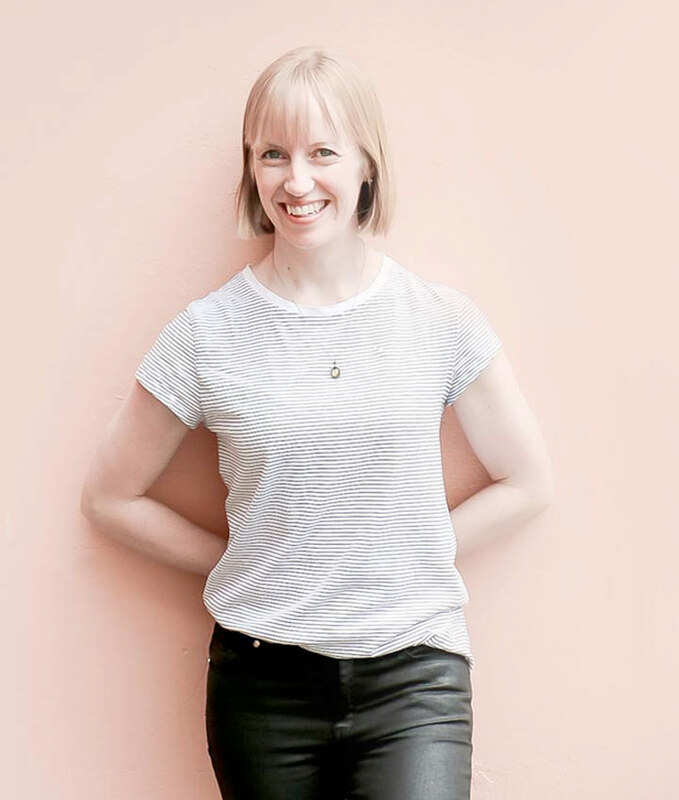 This week we’re discussing how to make a cake recipe gluten free so that you can have gluten free cakes that still taste great and have great texture – it is possible! 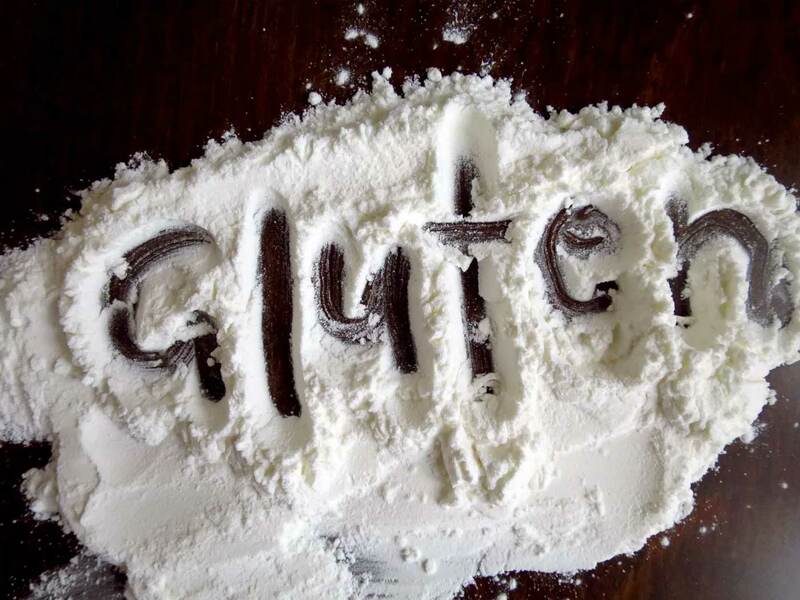 If we want our gluten free cakes to taste like cakes made with gluten, then it’s important to know the characteristics and properties of gluten, so we know what we need to substitute. Gluten is a protein. Thus, it provides the structure of a baked good and helps to hold everything together, it works as a binder. 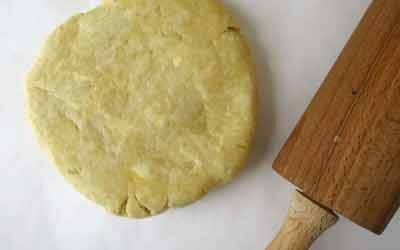 Gluten helps create a light texture by creating air pockets in the cake batter. I’m sure we’ve all tasted a gluten free baked product with the above properties before. So to avoid these, we need to mimic gluten. We need a binder (so our cakes don’t crumble and fall apart), we need moisture, and we need something to help create more air and lift in the batter. It’s all about getting the ratios right. You can add any one of these binders as an additional ingredient to a cake recipe. 1 tablespoon chia seeds, soaked in 1/4 cup water (leave to soak for 10 minutes or so). Do note that you will have little specs of chia seeds throughout the cake (try grinding the seeds first in a coffee grinder if you don’t want to see them). 1/4 – 1/2 cup apple puree/sauce. Apples contain pectin which helps bind the flour and holds onto moisture (it’s a win-win ingredient). 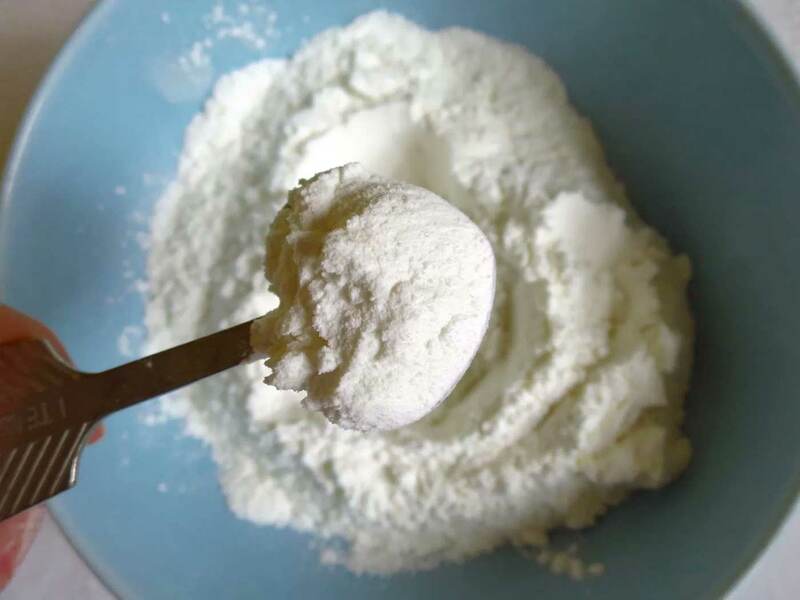 1/4 – 1/2 teaspoon of xanthan gum per cup of flour used. Note that you will only need to use this if the flour blend you are using does not contain it. Use with caution however, as some people react badly to this ingredient. MOISTURE: Chia seeds and apple sauce are great for adding moisture to gluten free cakes (we need all the moisture we can get!). Gluten free fours tend to soak up ever last bit of moisture, so you could also add additional moisture enhancers in the form of other fruit or vegetables (e.g. mashed banana, crushed pineapple, or pureed pumpkin, grated zucchini etc.). Buttermilk (soured milk) and baking soda*. I’ve talked about the power of these two ingredients a lot before here. But as a quick recap, the baking soda and buttermilk react together to create lots of air bubbles which gives our gluten free baked good lots of lift, helping to create a fluffy and light texture. Eggs. The yolks in the eggs create richness and moisture which we need more of in gluten free baking. The egg whites are drier, however when they are whipped, they create a lot of air and can be folded into the cake mixture. Creaming butter and sugar. 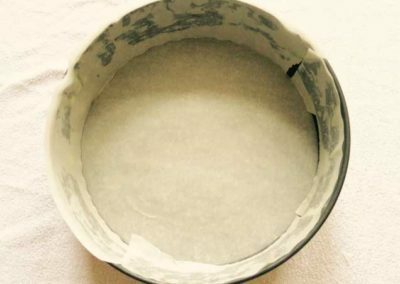 This technique creates air pockets which are enlarged by chemical leaveners like baking powder and baking soda. If your recipe doesn’t have butter, don’t worry. 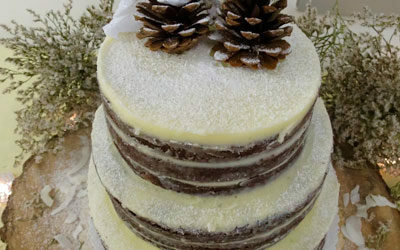 Other fats such as shortening and oil are great for adding moisture and keeping cakes light. *No buttermilk in your recipe? No problem, just add a dash of vinegar to the batter if baking soda is used and stick with creaming your butter and sugar really well. 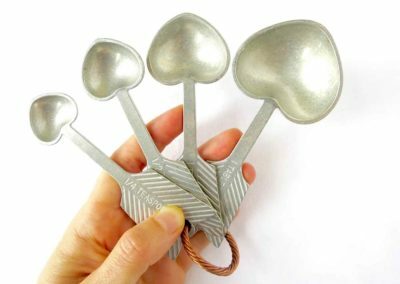 Or if only milk is used, add 1 tablespoon of vinegar and replace 1 teaspoon of baking powder for 1/4 teaspoon baking soda. So now that we’ve mimicked gluten, what flour do we use and how much? Make your own You can easily make your own blend by heading to the supermarket and buying an array of flours. 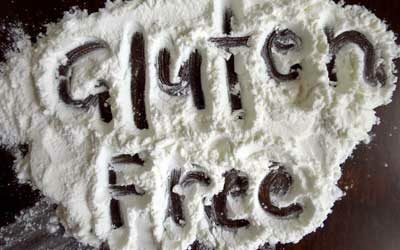 Check out Gluten Free Gigi’s flour blends for some ideas. If you are making your own blend, be sure to add more than one type of flour. Most gluten free flours by themselves are strong tasting and have different textures, so a combination of several is best. There are many gluten free flours on offer these days. Just have a look at the ingredients list and check whether xanthan gum is used or not – if it is used, you won’t need to add it additionally. I use a 1:1 ratio of gluten free flour to all purpose flour stated in the original recipe. HOWEVER, substitute by using grams, not cups. For example, if a recipe calls for 312g all purpose flour, use 312g gluten free flour. If the recipe isn’t in grams, check to see whether the recipe states how much their cup is in grams (this will be different if it is American 1 cup = 125g or British 1 cup= 140g)). This recipe contains buttermilk already and uses oil instead of butter (so no creaming method needed). I chose to add chia seeds but you could add apple puree instead (no xanthan gum needed as it is already in the flour). Or, see how I turned my classic vanilla cake recipe into a delicious gluten free and dairy free vanilla cake. Why not give it a go with one of your favourite cake recipes? Add air leavener (buttermilk, eggs, creaming method etc.). 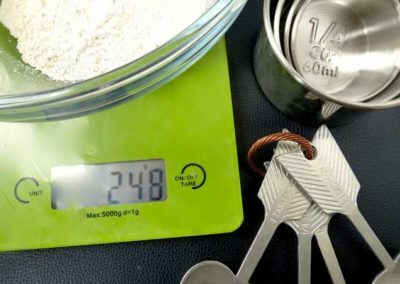 Substitute gluten flour with gluten free flour using a 1:1 ratio (measured by weight. Check for xanthan gum). Remember: as with all things, baking gluten free takes practice! This checklist may not always work, so you might have to make adjustments based on your preference and through trial and error. 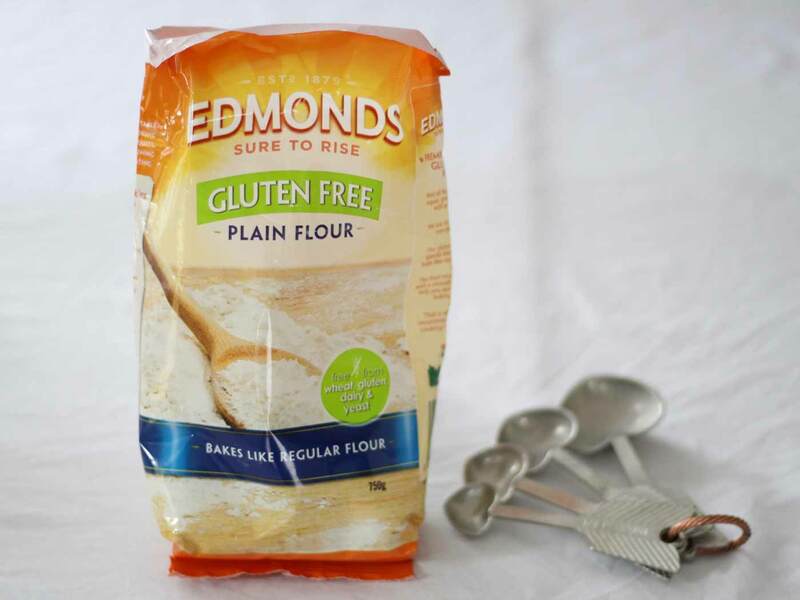 For more information on gluten free baking, check out this guide by Gluten Free Girl. 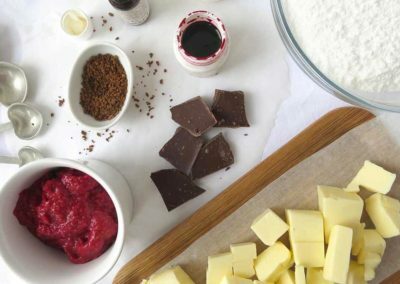 What do you find helpful when baking gluten free? I’d love to hear your tips and tricks!